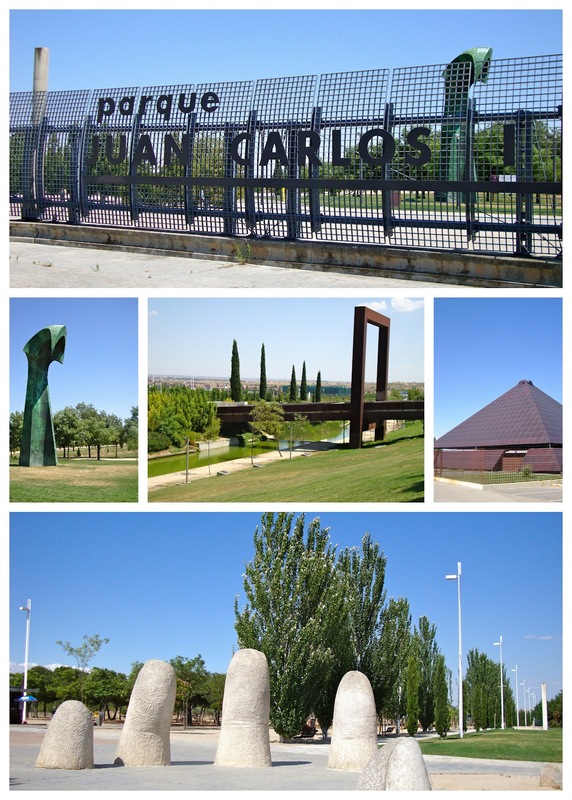 If you want an escape from the city some afternoon, grab a book and some snacks and head to Parque Juan Carlos I. I went there for the first time this afternoon, and really enjoyed the green and the quiet. Take the pink line 8 as if you were headed to the airport, but get off one stop early at Campo de las Naciones. When you see a pyramid off to your left or a red sphere up on a statue on the right, you're nearly there. Juan Carlos I Park has 13,000 meters of paths, 21 hectares of olive trees, and features 19 sculptures. It felt so good to kick off my flip flops and walk through the green grass. I found some shade under a tree next to the river, which is where I ate my picnic lunch. The three little waterfalls nearby peacefully drowned out any possible sounds of other humans, so I felt as though I had the park to myself. It helps that I only saw a handful of other people while I was sitting in this spot. They biked past on the path alongside the river, and then I was "alone" once again. After eating I pulled out my kindle and read for a while there in the grass, listening to the water. A few chapters later I rested my eyes some. And then I got myself up to walk through some more of this ginormous park. Yup, I had fun making a fool of myself as I tried many of the exercises inside the Elderly Park. No one else was there exercising! In the olive field there was a sign saying that this was a brother field to El Bosque del Olivar in San Isidro, Lima. That's where the first olive trees of America were planted in 1560, as ordered by General Don Antonio de Rivera. 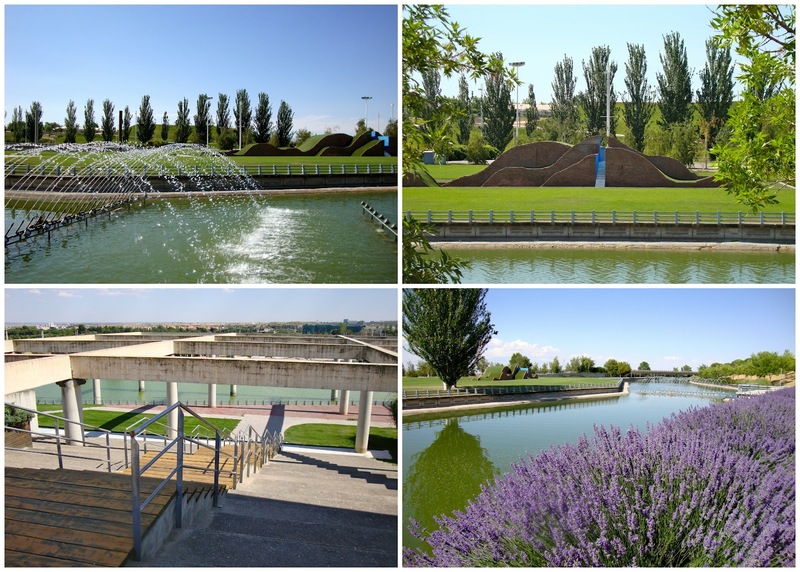 Tips: A good place to bike, jog, walk, read, and picnic. There's not much shade while you're walking along the paths (wear sunscreen! ), but if you want to sit for a while you can definitely find shade under a tree. There are public bathrooms, and they had toilet paper!